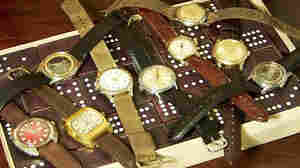 July 21, 2011  Wristwatches went the way of the dinosaur when cell phones took over as timepieces. Or did they? Turns out the T-Rex — or rather, Timex — is making a comeback, along with Rolex, Swatch, Seiko and Casio. Fashion As An Outpouring Of Nature. Who Knew? September 9, 2010  Tell Me More's Amy Ta takes a closer look at designer Carmen Wu's fashion philosophy. September 8, 2010  It's well-known that the sizes on women's clothing are unreliable. 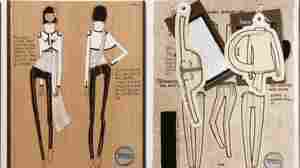 But men have long relied on the sanctity of sizing by waist measurement. Think again. Abram Sauer at Esquire found men's pants sizes are every bit as unreliable as women's.